The American Revolution began on this day, the 19th of April, in 1775. One of the great symbols of the Revolution and of that day is the Minuteman monument that stands beside the North Bridge in Concord, Massachusetts. With one hand holding his musket and the other the handle of his plow, the Concord Minuteman represents the thousands of men, most of them farmers, who left their homes and fields on this April morning to engage the British troops that had been sent to confiscate colonial stores of arms and ammunition just a few miles west of Boston. The elite companies of local militia were trained to respond “at a minute’s warning” and so were called Minutemen. Learning to recognize and interpret significant cultural symbols is something every homeschool student should be able to do, so here’s a gallery of images to share with your students this week. You can start by checking your pocket for a Massachusetts state quarter to make this into a hands-on history lesson. 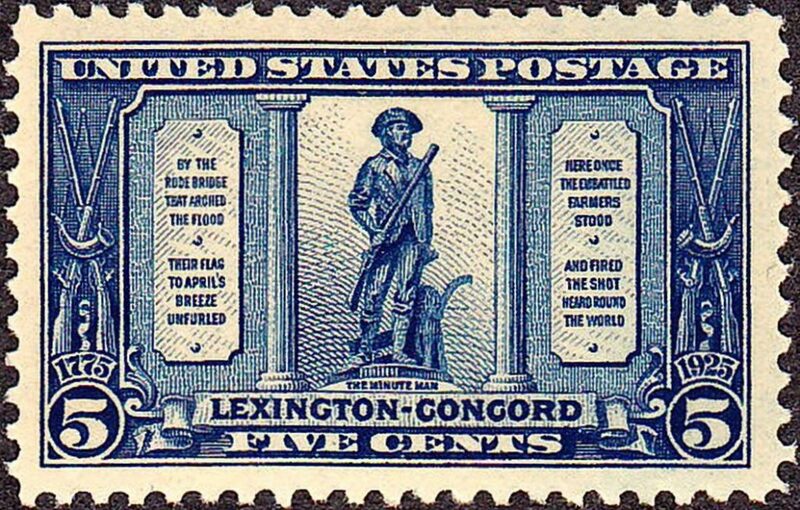 That quarter wasn’t the first time the Concord Minuteman had appeared on an American coin or stamp. In 1925, for the 150th anniversary of the Revolution, he was featured on both a commemorative half-dollar and a general issue five-cent stamp. The Minuteman is the symbol of the National Guard, who are his genuine successors, and you’ll see him on their insignia around the country. Seal of the Army National Guard featuring the Concord Minuteman. 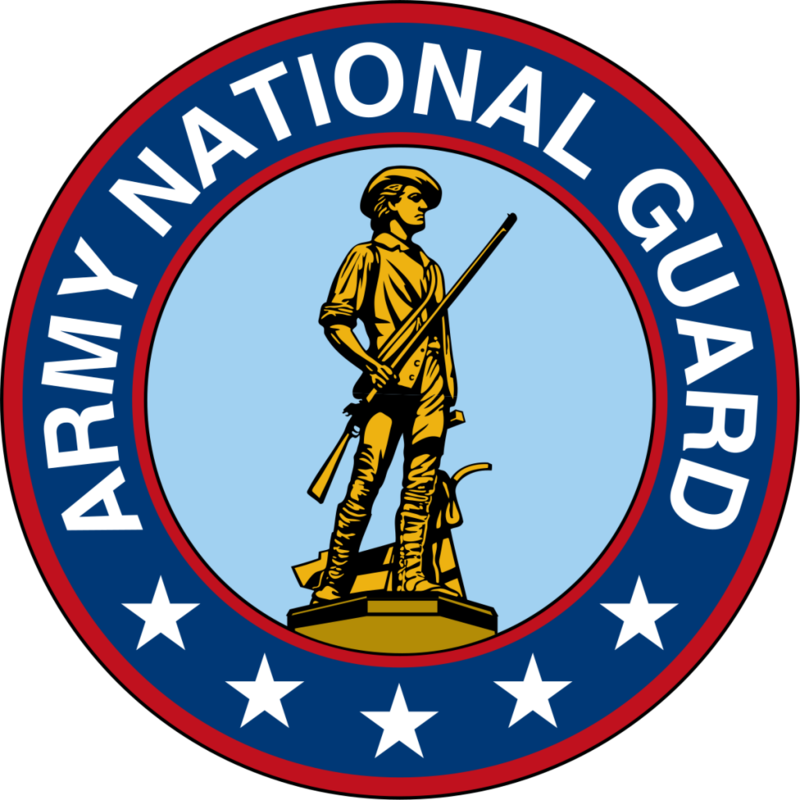 The individual state National Guard insignia commonly feature the Minuteman as well. The Concord Minuteman is such an American icon that your students may run into him just about anywhere — even in a pizza parlor in Oklahoma. 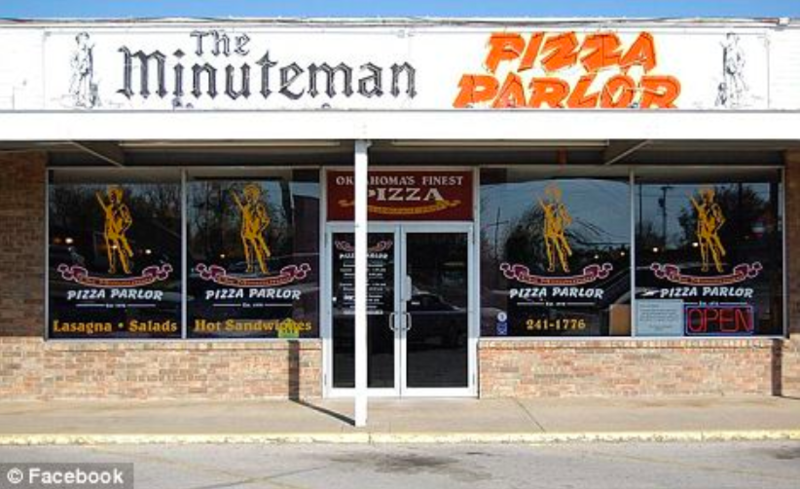 The Minuteman Pizza Parlor in Sand Springs, Oklahoma. ❡ Explore more: For a quick homeschool review of American Revolution, turn to page 298 in your River Houses history encyclopedia (riverhouses.org/books). The Louvre Museum (www.louvre.fr/en) is the world’s largest art museum, and it’s a name your students should know. It’s so old and famous that the building it occupies, the Louvre Palace, is even mentioned in Shakespeare. The Venus de Milo (or the Aphrodite of Milos, to use the Greek rather than Roman name of the goddess) is now usually dated to about 100 B.C. and is attributed to a sculptor named Alexandros of Antioch. In its day, like most ancient sculptures, it would have probably been painted in life-like colors or polychromed, not left as white marble. ❡ Explore more: Your River Houses history encyclopedia (riverhouses.org/books) has a beautifully illustrated introduction to Classical (Greek and Roman) art on pages 116–117 that will give you just the background you need for a wonderful homeschool history lesson. And you can find the little island of Milos on plate 72 in your atlas. ❡ Make it a tradition: Why not make a weekly visit to a museum or historical monument a regular homeschool tradition in your family. You can visit the one we select each week (above), or make a selection of your own, perhaps from your almanac (riverhouses.org/books) or from the riverhouses.org sidebar — art museums one year, science museums the next, historical monuments the next again. Don’t worry about making a comprehensive study: just look up its location your atlas, learn the name of a new artist or scientist or historical period or event, and your little lesson is done. Over the course of a year, without even realizing it, your students will absorb a wealth of new cultural, historical, and geographical information — and so will you! 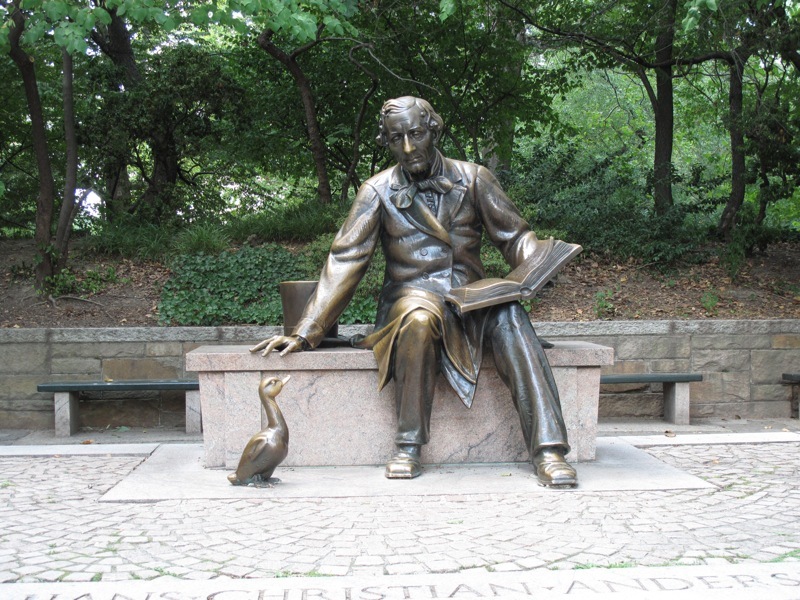 Today is the birthday of beloved fairy-tale author Hans Christian Andersen (1805–1875), so why not pay a homeschool visit this week to the H.C. Andersen museums in his home town of Odense, Denmark. Andersen’s fairy tales, including “The Princess and the Pea,” “The Emperor’s New Clothes,” “The Little Mermaid,” and “The Ugly Duckling,” have been translated into dozens of languages and read and enjoyed by millions of children and adults around the world. He is one of Denmark’s most celebrated literary figures, and his stories have formed the basis for countless other works of art, from films and sculptures to paintings and cartoons. Today is the Ides of March, the famous date on which the Roman politician, general, and dictator Julius Caesar was assassinated. Rome had been a republic for centuries, proud of its heritage of having overthrown its ancient kings. But when Caesar, returning victorious from a military campaign in the west, ordered his soldiers into the city (“crossed the Rubicon”) in 49 B.C. and declared himself dictator for life, his opponents in the republican senate conspired to have him murdered. They accomplished their aim on this day, the “Ides” or midpoint of the month of March, in 44 B.C. In the end, the senate’s coup failed. After several years of internal turmoil Caesar’s designated successor, Octavian, consolidated power and became Rome’s first emperor, Augustus. The old republic was swept away. ❡ Filling in the background: For a quick homeschool review of the life and times of Julius Caesar, and of his assassination on the Ides of March in 44 B.C., turn to pages 108–109 in your River Houses history encyclopedia (riverhouses.org/books). A denarius was a standard silver coin of ancient Rome, usually said to represent about a day’s pay for a common soldier. 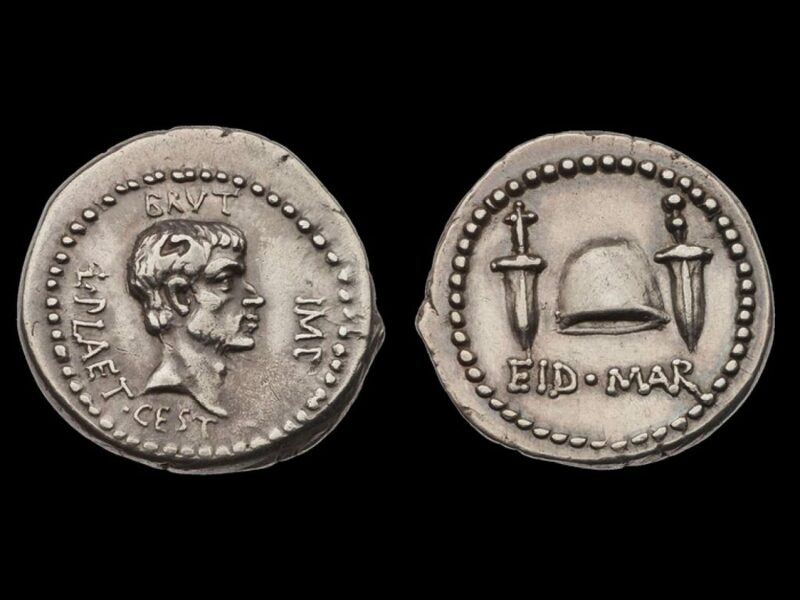 The EID MAR denarius isn’t an exceptionally rare coin, but it’s in high demand, as you might imagine: fine specimens today have sold for more than half a million dollars — not bad pay for a common soldier. 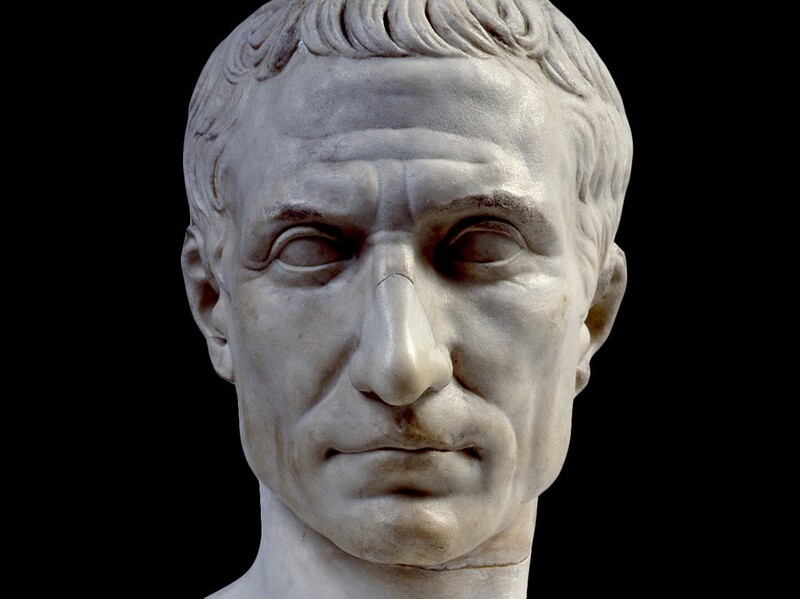 On this historical anniversary, be sure to introduce your homeschool students to the name of Julius Caesar, and how he met his fate. And to make this ancient event seem a bit less distant, ask them to imagine themselves as Roman soldiers with a handful of Ides-of-March denarii in their pockets, shiny and fresh from the mint of Brutus. This Thursday is the Ides of March — the famous date on which Julius Caesar was assassinated in 44 B.C. 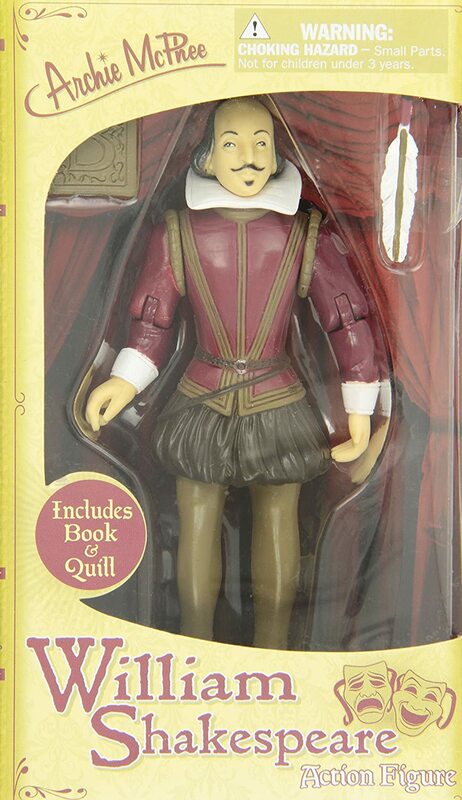 — so we’re having a kind of Julius Caesar Week here for homeschoolers. ❡ Explore more: Your River Houses history encyclopedia (riverhouses.org/books) has a beautifully illustrated overview of the life and legacy of Julius Caesar on pages 108–109, complete with a simple timeline — just the background you need for a wonderful homeschool history lesson. 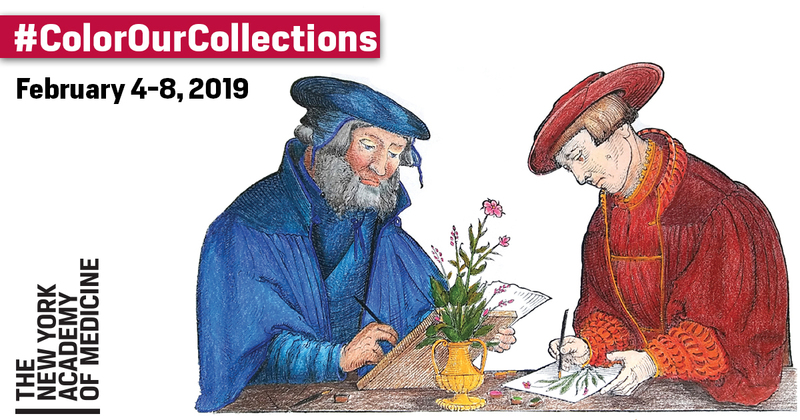 Monday is Museums & Monuments Day at the River Houses: spend a few homeschool minutes exploring a notable cultural or historical site and broaden your homeschool horizons. Learn a new name or a new date, find a new location on the map, chat with your students about a fact or an idea of interest, and your little lesson is done. “The Air Force Space and Missile Museum at Cape Canaveral Air Force Station preserves both the hardware and the spirit of United States’ ventures into space. 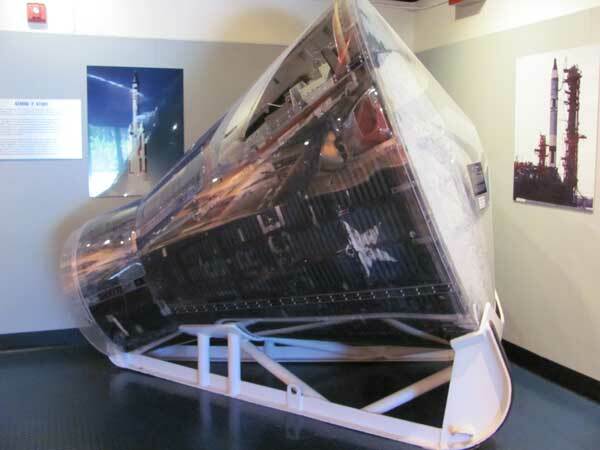 The museum displays numerous missiles, rockets and related space equipment. The museum’s extensive collection of early rocket and missile components, many displayed in an outdoor “rocket garden” (afspacemuseum.org/displays/RocketGarden), would certainly captivate any young space enthusiast. Take a look around their website, and perhaps even plan a homeschool visit in person for the future.